Japanese scientists said Wednesday they had successfully used mouse stem cells to grow kidneys in rat embryos, using a technique that could one day help grow human kidneys for transplant. But the researchers cautioned that their success was only a first step and that “serious technical barriers and complex ethical issues” remain before the process could be used for human organs. 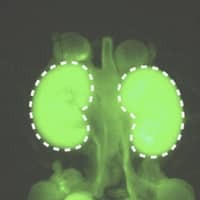 The technique has previously been used to grow mouse-derived pancreases in rats, but the new study is the first evidence that it could one day provide a solution to the massive shortage of donor kidneys for people with renal disease. 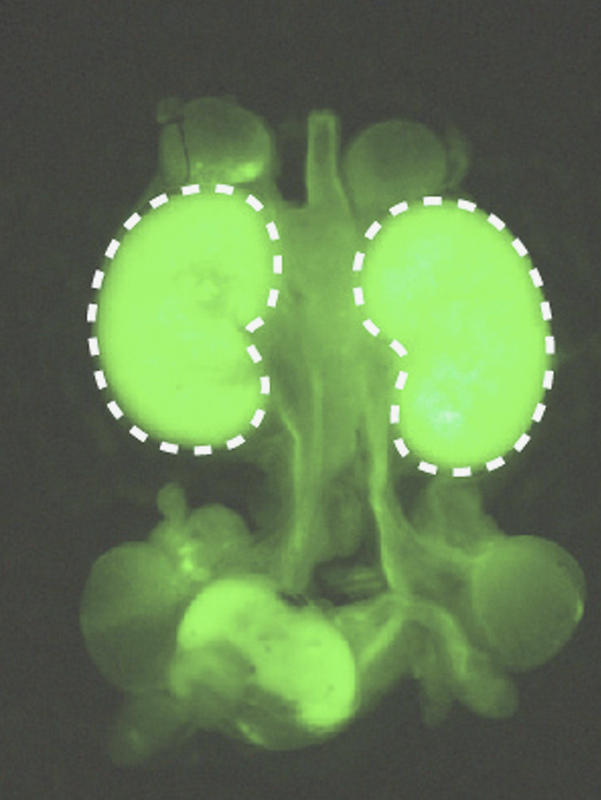 The research, published Wednesday in the Nature Communications journal, began with the development of a suitable “host” in which the kidneys could be grown. Pluripotent stem cells are a kind of “master” cell that can develop into any of the cells and tissue that make up the body. The researchers found that the mouse stem cells produced apparently functional kidneys in the rats. But the same did not hold when rat stem cells were injected into similarly modified mouse embryos. “Rat stem cells did not readily differentiate into the two main types of cells needed for kidney formation,” said Masumi Hirabayashi, an associate professor at Japan’s National Institute for Physiological Sciences who supervised the study. Conversely, “mouse stem cells efficiently differentiated … forming the basic structures of a kidney,” he told AFP. The reason for the difference is still not entirely clear, but the researchers believe “environmental cues” inside the mice are likely to blame, rather than the stem cells or the technique. While the rats developed apparently functional kidneys, including with proper connections to the ureter — tubes that link the kidneys to the bladder — they died shortly after birth because they did not suckle properly. It is thought that removing the genes that allow kidneys to develop in utero also removed their sense of smell, so the newborns failed to detect milk and died. There are other concerns: growing a kidney in a host from another species could lead to “contamination” of the organ with cells from the host. “The main ethical concerns are the risk of consciousness and/or gamete (reproductive cell) production,” said Hirabayashi. “There are serious technical barriers and complex ethical issues that must be discussed and solved before producing human organs in animals,” he added. Pigs are usually considered the best hosts for human organ regeneration, but pig embryos only develop for 25 weeks, unlike the 40 weeks that human babies grow, meaning the species might not be suitable for growing organs in embryos.